Since its inception in early 2005, YouTube has catapulted many no-name, average Joes into stardom. Names like Antoine Dodson, Chris Crocker, Tay Zonday and Dom Mazzetti quickly come to mind. 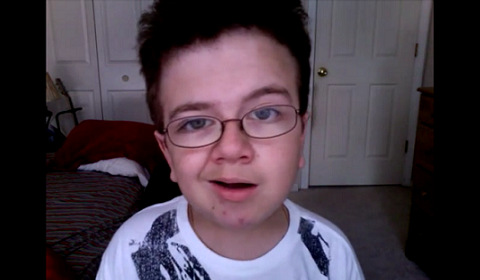 Add Keenan Cahill to that list. A 15 year old from Chicago, Cahill has a unique disease called Maroteaux- Lamy syndrome. It it very rare and produces detrimental outward effects including dwarfism. It hasn’t slowed him down one bit. most recognizable faces on the internet. After going viral, late-night talk show host Chelsea Handler noticed him and had to get a piece of this mysterious character. Other jumped on board, too. 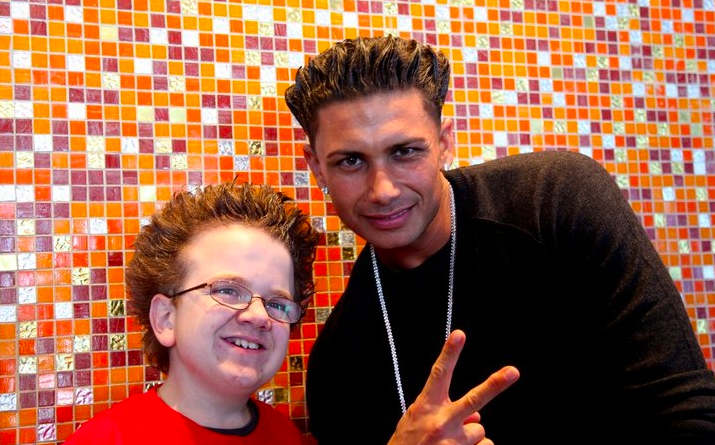 50 Cent and Pauly D of Jersey Shore sought him out to arrange for duet performances. Let’s be honest, he’s an appealing guy. The uniqueness of his condition combined with goofy mannerisms and facial expressions make for some of the freshest entertainment on the internet. Partnering with Cahill to make a video or song is bound to garner attention and find its way across various forms of online media. Professional sports teams have started to realize that. The New York Knicks use him for some of their in-game pump-up videos and commercials. The World Series Champion San Francisco Giants chose to stick to his original roots. The Giants are sponsoring a charity event on May 25th to raise awareness for Cahill’s condition. The video, released two weeks ago, serves as a promo for the event, but more importantly makes viewers exited for yet another chapter of Cahill’s series. Outfielder Cody Ross, Mascot Lou Seal and baseball’s most dynamic and arguably most popular player Brian Wilson. Wilson alone will achieve the highest ratings possible. The video, put to Cruz’s “Dynamite,” gains laughs and smiles as it has Cahill with his natural environment of music and dancing, but Lou Seal, Ross and Wilson add even more color and wackiness that even non-sports fans can enjoy. That’s what is so intriguing about Cahill. Pin him with any popular movie, TV, music or sports star and a nationwide hit is bound to happen. He is a genuine kid and hasn’t changed amid his new found glory. It could be argued that some of these artists are exploiting him for his disease and just feeding of the fad. I don’t see that as the case because I’m sure he has to turn many appearances down. When dealing with situations like these, it is important to not feed into any criticism. 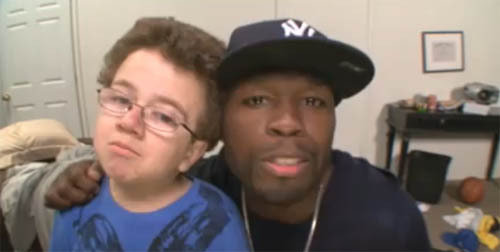 For 50 Cent, Pauly D and the Giants, their cases are valid. They are indeed fueling their public relations sides but still adhering to an ethical means. David Cohen does a lot of traveling. The Spot.Us founder enjoys it as it is an opportunity to spread his wealth of knowledge to a budding audience of young journalists. One of the necessities he needs for his travels is a suitcase. He feels a suitcase os a necessary means for life in general because of its storing capacity. Another aspect of this sort is a wheel. Without the wheel, travel would be impossible and normal everyday life would cease to function properly. Now, by adding the wheel to the suitcase you have a convenient way to make travel easier. The inventor of it is one of Cohen’s heroes. That simple invention is innovative, he says, and can be translated over to a gateway of new age journalism. On April 5th as part of WVU Journalism Week, Cohen talked to a packed house discussing a fresh wave of journalism through his many endeavors and offered advice on how to stay afloat in this ever changing industry. Cohen’s Power Point presentation consisted of just 20 slides, which he flew through rather quickly. He wasn’t here for a lecture. He wanted back-and-forth engagement between himself and the audience and compared it to his view of what journalism really means. 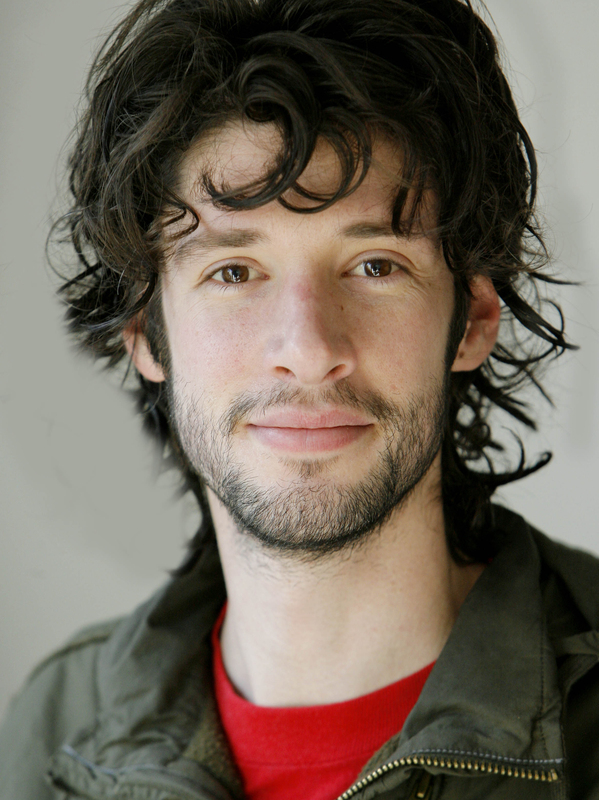 He is the founder of spot.us, a NPR or PBS type outlet on the web. The website is considered to be community funded reporting where people pledge to hire out a freelance journalist to cover hot button issues across the country. His motive wasn’t to gloat, though. His skill set and technical mind are far more advanced than many other speakers I have heard. While Cohen did say he is a “shameless self promoter,” it made me realize that without a little personal boasting, it’s going to be hard to sound credible and be seen as a respected voice among a large group of people fighting for the same recognition. Cohen offered the skills to indeed become that go-to guy, so to speak, especially in uncharted territory. He spoke in terms of trail and error. He is the mastermind behind spot.us and has a fleet of almost 100,000 contributors while raising hundreds of thousands of dollars toward different projects on his site. This wasn’t going to happen overnight. It takes an agile and iterative mindset, he said. That means taking risks and learning from mistakes. By starting small and staying determined, anything can happen. There is no set in stone policy or process for what will become of the journalism world in the near future. By getting involved and showing an itch to make something happen, good things will come forth. Cohen is a perfect example of that. Cohen truly feels the journalism industry may be as hot as its ever been. While newspapers and other print outlets seem to be dying out, a whole new world of web based content is emerging by the minute. There are plenty of opportunities online to showcase talents and abilities and there are plenty of people out there willing to read what you have to say. He gave a quote from Lisa Williams, a blogger from Nieman Lab. It read, “Journalism will survive the death of its institutions.” This is encouraging because we are the inaugural generation ready to take the next step and become something through the internet. From this, I have confirmed that having a strong web presence is crucial. Through Twitter, Facebook and my two blogs I have made connections and will even further that by marketing them even more. Throughout the speech, a live twitter feed was on the projection screen with tweets from the audience. This fact alone showed that Cohen knew his stuff. Innovation and engagement, they’re here to stay. Not Major League, it’s a great movie and an institution for the sport of baseball in pop culture. But Charlie Sheen’s rampage on the world has indeed ran out of steam. 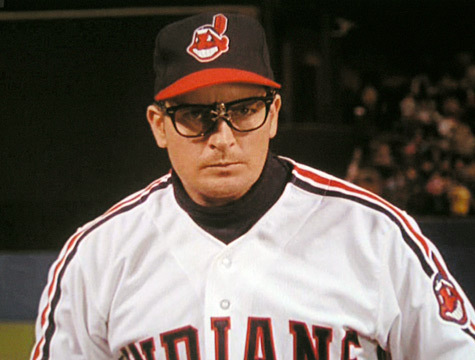 Even Rick Vaughn would attest to that. When Sheen first released his rampant tidings to the world in a television interview last week, it was cute. Sheen looked to be making the most out of his whirlwind of family issues and rehab visits. The circus began a few months ago and recently just picked up with his “winning, team sheen and tiger blood” campaigns. On March 1st he created a twitter account which amounted to a firestorm of followers, 2, 376,008, to be exact. He has been coast-to-coast filming more interviews across different mediums and mainstream sources such as ABC, NBC and TMZ. His tirade was a festival of scrutiny against his family and former employers. He even took matters into his own hands when he formed his own talk show with members of his entourage engaging in similar behavior that some would argue could be destructive to all of mankind. The situation, at the beginning, was something Sheen may have needed to release himself from the stressors of his personal life. He has long had a history of such problems and this may have been the outlet he felt fit with. In my opinion it was proper for Sheen to unleash a campaign of the nature he did to let the world hear his side and garner support for his situation. Stan Rosenfield, Sheen’s public relations manager for nearly seven years, “respectfully” resigned from that position on February 28th, right when he began his first round of television interviews. In an interview with LA Times Rosenfield elaborated on the situation. His fans may be resigning also. Many critics of Sheen felt that his actions were indeed humorous at first, but they are coming back to haunt him. No matter the case, Charlie Sheen has bursted back onto the scene and doesn’t appear to be dropping off any time soon. No matter how “Unfollow Day” pans out, the last of Sheen surely will not be seen any time soon. He is money and will continue to exploit that fact. Look for reality shows, more interviews, live court proceedings and ample shots of tiger blood to keep Sheen’s name in the limelight. It may be his ultimate winning therapy. Just like any other college aged guy, I enjoy going to sporting events. Whether it be a baseball game, football game or hockey game I will be into the contest and cheering for a team, no matter if I share loyalties to one squad over the other. But for me, personally, the game is just a sideshow event for everything that goes into a sport. Part of being a part of the live crowd is in fact the fans. If it wasn’t for the supporters in the stands there would be no point in playing. But what happens when teams can’t bring people into the arena? West Virginia head women’s basketball coach Mike Carey is trying to answer that question. Outspoken, just like any minor sports coach at any university in the country, Carey campaigns night in and night out for the local community to support his team. Ranked No. 10 in the country, the brilliant play of the Mountaineers simply is not enough. In an effort to solve the attendance problem WVU partnered with local 4-H clubs to help raise awareness of the basketball team with are children. To help in this effort nationally known media group, Starbridge, helped with an innovative comic book publication depicting a cartoon version of Carey and the team. Along with the basketball theme there is also an underlying cause to support a greener earth. 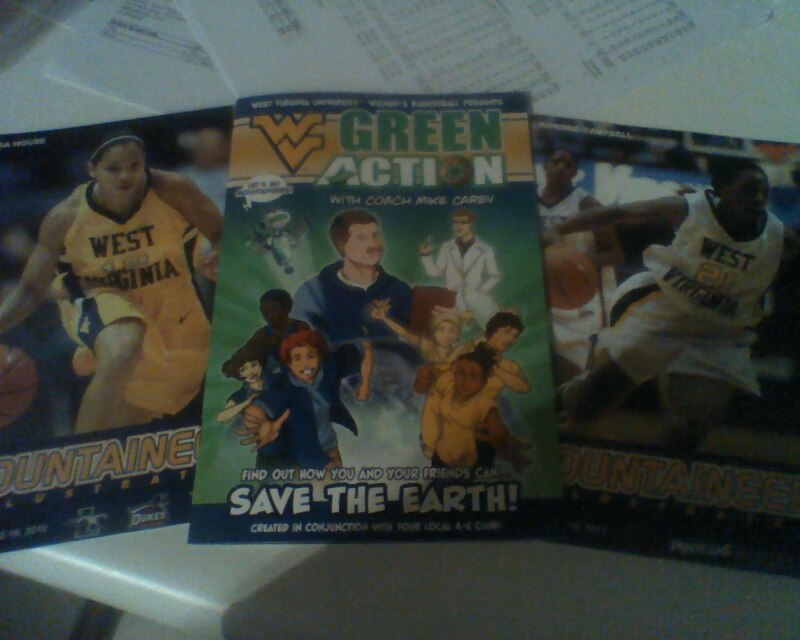 There is also a website, WVU Green Action, where details of the program can be found, as well as interactive games and activities and free vouchers for women’s games. Starbridge is a renowned group that has done media campaigns for sporting clubs across America including professional teams like the Philadelphia Eagles, Washington Capitals and Denver Nuggets. They are also an Emmy award winning organization for in-game entertainment segments shown at Dallas Cowboys games. Mike Casazza, West Virginia sports beat writer for the Charleston Daily Mail, wrote an article supporting this unique movement. 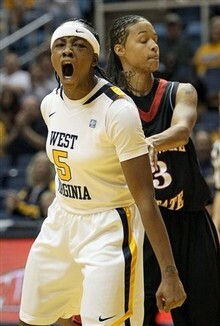 The comic book is not the only free way to read up on WVU women’s basketball this season. Miniature programs can be found around the Coliseum for quick facts, articles, stats and biographies of both the Mountaineers and the teams they are playing that home stand. Little programs like this can be found at professional stadiums across the country and are popular, free sources for information. The Pittsburgh Pirates recently started this trend that is available in over 15 of the 30 Major League ballparks. As an alternative to a program, regularly priced from five to 10 dollars, advertising spots can still be sold and will be seen by more people who are against spending the cash to read a program. Whether the campaign will raise attendance the intiative taken by the women’s basketball team needed to be done. Through the first four games on the young season the women have averaged just over 1,000 people at each game, a minuscule number considering the caliber the ladies played at this season. Even if the public doesn’t take notice of the moves, I sure have and appreciate the effort. As the beat writer for The Daily Athenaeum, covering the women’s basketball team I look forward going to each and every game and expecting new story lines. Like I said before, if it wasn’t for the fans, sports would not go on. Starbridge and WVU realize this and it looks to be a rewarding relationship. Nothing short of a phenomenon, Four Loko was a hit across college campuses nationwide. The alcoholic-caffenated beverage was seen has a sure fire way to have a good time, and taste pretty good in the process. The manufacturing company of the product, Phusion LLC, recently announced it was dropping the caffeine ingredient from the drink. A move that was suggested from colleges, parents and those who fell victim to the harsh results of over indulgence. Funny thing about Four Loko, its nothing ground breaking. The mixing of alcohol with caffeine and other hyperactive ingredients has been a part of late night culture at bars world wide. The popularity movement of the drink, however, indeed a force within itself. Using little or no advertising the product gained its momentum from mouth to mouth grassroots movements across campuses. From its humble beginnings in Columbus, Ohio at Ohio State University, Four Loko began circles around the Midwest with displays and handouts similiar to the Red Bull cars that are seen at West Virginia University sporadically. From there, the stories and tall-tales began. Everyone wanted a piece of the action and the chance to experience it themselves. The convienence, affordability or drunken state all were the selling points that got Four Loko to become the PR monster that it was. Now, although it was a vaiable alcoholic beverage it was far from unique. Anybody who has ever had “one too many” knows of the repercussions of being drunk. 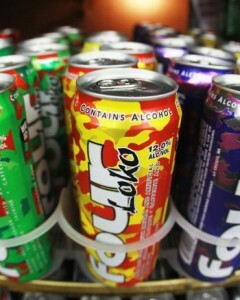 Those who partook in the Four Loko craze got a taste of that as well. Damaging reports stemming from all parts of the country created the image of Four Loko as a killer. From sick freshman at Central Washington University to a drunk driving death in Maryland, the beverage ceratinly had some targets on its back. In a damage control move, Phusion LLC released a statement with advising notes on how to use the product in a safe manner. I call it common sense. The people at Phusion Products took it upon themselves to seek the approval of teh nation upon moving forward with their company. They were put in a tough position by the nagtive media coverage and had to take an evaluation with itself. Something had to be done or parents and college officials would be coming to their offices in mob fashion, guns a blazing with pitchforks. Because it was new and relatively unheard of Four Loko and Phusion caught a lot of unnecessary flack for the ill adivised decsions of the people who drank the product. PRweek listed a poll on its website regarding the handling of the caffeine limits of Four Loko. Was it a good move for Four Loko to announce it will remove caffeine from its products prior to the FDA ruling? Given those options a combination of 1 and 2 would have been the best choices. 58% of responders said its always good to get ahead of regualtions with 17% saying it should have defended its product. Phusion did the best of both worlds and defended its product while staying ahead of the regualtions. While the steam engine that was Four Loko will be undoubtedly taking a back seat, the Fall 2010 run of the beverage will forever be remembered. West Virginia University School of Journalism Student Services Coordinator Jason Broadwater has always stressed the need for a writing foundation in any field dealing with journalism. It seems that simple fact rings true especially in public relations. The career is embodied by writing press releases, blogs even twitter updates that all need to be well crafted in order to send a message. It’s message needs to be clear to reach an audience. It won’t be understood if the person behind it simply doesn’t know how to write. Many PR practitioners, or those involved with agencies, have once worked in the newspaper business developing their writing and reporting skills. A friend of mine, Edmund Coletta, Public Affairs Director for the Department of Environmental Protection in Massachusetts, actually got his start writing for a newspaper. Now, as a Press Secretary he writes the releases and statements flowing out of his busy Boston office. Recently, ex-publisher of The Philadelphia Inquirer and Philadelphia Daily News Brian Tierney put together a new phase of his career. A former PR strategist, Tierney took his experience from working in both industries to expand the forefront of a growing digital industry. He, along with a group of investors, purchased Realtime Media. Tierney has been around the block and with this move can become one of the most powerful names in online media. Now the talk of newspapers in the current era is a slippery slope. With the evident switch to the internet, news and information services can be updated rapidly through the use of the online resource. Daily newspapers don’t have that luxury. Coletta himself, a newspaper man at heart, admits that it is a dying breed and will fade from everyday use eventually. There is just no beating the convience of news at your finger tips on a website. However, The Daily Athenaeum, student newspaper at WVU, recently released an ad hyping up not just its publication, but all newspapers. The DA cited 35 million daily subscribers to newspapers nationwide. Basically, they are saying if its out there, people will read it. The same goes for public relations. 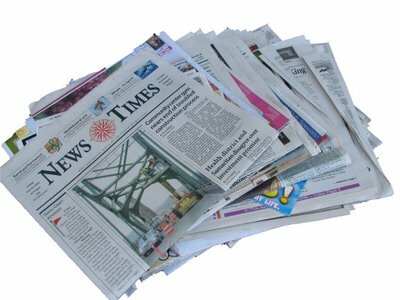 Just because it is not as prominent of a news source than in its glory days, newspapers are still viable mediums of information. The history prominent PR people have with the newspaper industry may cause some jolts of revivement. The working relationship and dual partnership both share could make it easier for communication because the writer and practitioner both somewhat have a mutual understanding of what the other goes through in his or her profession. That being said, to get into public relations, writing is the key. Any experience, any method of skills is not only reccomended, it’s required. Looking for the one-of-a-kind gift this Holiday season? The answer is actually all around you. 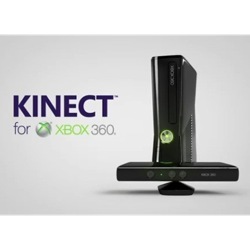 The Kinect system by Xbox has been taking the media world by storm in recent weeks. The commercials demonstrate an interactive gaming system with users acting as the actual remote control. Revolutionary in nature the webcam-esque platform plugs into the xbox consol for a never before seen entertainment experience. Not only is the product fun and cool, the publicity surrounding it as well. On top of commericals and advertisements the product uses many mediums to get its message across. A partnership with Burger King is unique in the fact that the restaurant chain is giving away games for the system. MTV and other television stations are required to promote the system even as going as far as throwing a large, elaborate launch party held in New York City. Celebrity dancers, Ne-Yo and Mark Wahlberg, among others were there to hype up the “it” factor that kinect certainly possesses. Perhaps no new product passes the “must have” test until it is promoted by the most powerful name in entertainment; Oprah. This past week Oprah announced to her studio audience that everyone would be taking one home. Judging from their reaction, I’d say they are pretty pumped. The rest of America is as well. There is no doubting the fact that kinect is an innovative system that will certainly be a hit among consumers this Holiday season. However, the PR plan behind it certainly helped boost its popularity. In all honesty I had seen commercials and television plugs for it a good two weeks before I even knew what the heck it was. It led me to search for it online, talk about it amongst my peers and research it more and more. Even posessing a twitter account (@kinectxm) that details when and where new happenings will be held. For example, Jimmy Fallon will be doing a demonstartion on it during his Late Night show on Monday. For a new hi-tech device like the kinect, an even more dynamic campaign to promote it was necessary. The good folks at Microsoft and xbox will reap the benefits of their media blitz when the $150 dollar device flies off the shelf in the coming weeks.